Author, trainer, coach, speaker, and applied neuroscience advocate. For 20 years he has been using the latest research to help people and organizations to achieve more. 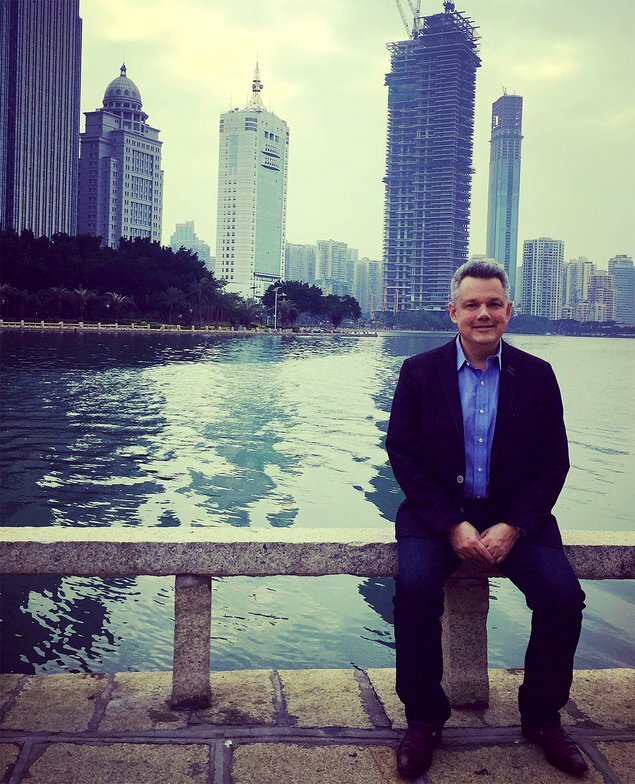 David C Winegar is an author, trainer, coach, speaker, and applied neuroscience advocate who travels the world helping organizations and individuals to achieve more through a better understanding of human behavior. His work has taken him to four continents, coaching 1000 s of people, from more than 90 different countries. Before getting his MBA in organizational behavior and eBusiness from the University of Pittsburgh, he had an exceptionally diverse work background including; working at the Smithsonian Institution’s American History Museum, in the National Archives as a top-secret records declassification expert, and an International teacher of History and Geography in Helsinki, Finland. Since receiving his MBA in 1995, he has been in no less than six tech start-up companies, 3 in the US and 3 in Finland, including a forerunner to Twitter and one of the first mobile email services. For the last 11 years, he has been running his organizational development and coaching consulting firm Absolute-North which uses the latest psychological and neuroscience research to develop people. His first book, The Elevator Pitch of You, uses insights into neuroscience to create a brain-friendly personal brand statement for use in social media and as a tool to build trustful relationships at work. The response to his first book has been overwhelming selling hundreds of copies in the first six months on Amazon, Apple, and Google books. David’s work has been with a broad spectrum of industries, everything from mobile gaming, and SAS companies, to industrial equipment, shipping, and machinery. He has developed an experiential learning method called Artificial Experience Building, which uses neuroscience-backed research to better commit learning to long-term memory. His practical insights into how to apply neuroscience to your life will provide you with a new set of tools to support you in your persistent pursuit of excellence. Success! 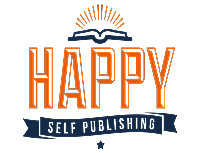 BraInsights sold 68 pre-orders by Oct. 30, 2018, was pitched to 21 publishers, and will be self published. 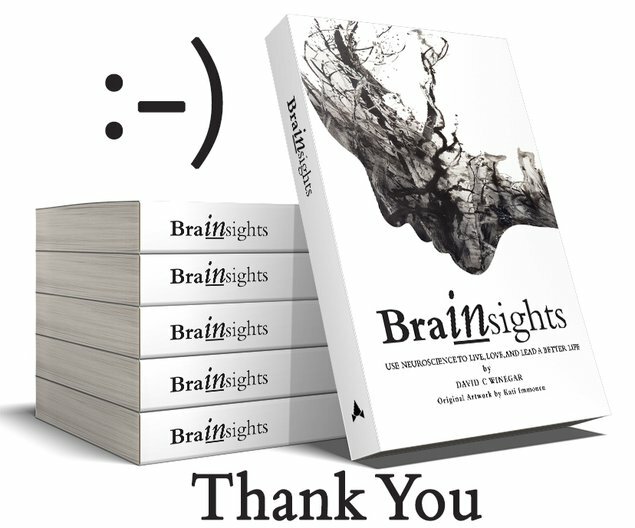 1 early release professionally produced eBook copy of Brainsights, your name in the "Thank you" credits of my book, plus an invitation to join my online community. The eBook will include live links to the original research and special early access to the online community and discussion forums moderated personally by the author. 1 full-color beautifully printed copy, inclusion in my "Thank You" page in the book, plus a special early access invitation to join my online community and the forums moderated personally by the author. Note: The price is a little bit higher than some of the other publishers here because this book will contain full-color images, including original artwork produced by a renowned Finnish watercolor artist. The book has already been sample printed and it is of very high quality and well worth a couple of extra dollars. 2 full-color beautifully printed copies, plus 2 eBook copies, inclusion in my "Thank You" page in the book, plus two "early access" invitations to join my online community and access to special content including early release chapters, and special neuroscience insights. $175 VIP Art Lovers Pack! 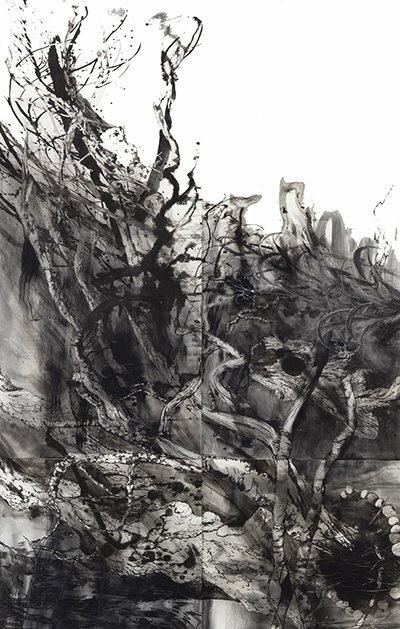 A full color, high quality, print of your choice of any of the 5 original pieces of artworks in the book painted by renowned Finnish watercolorist Kati Immonen - a truely beautiful gift. 1 printed copy of +1 ebook copy, your name in the "Thank You" section of the book and "early access" invitations to join my online community and access to special content including early release chapters, and special neuroscience insights. 10 copies of the book "BraInsights" + a 1/2 day (3.5 hours) of coaching either in person or via video. This is perfect either for a corporate team, a coach and a group of clients, or just a group of friends. Together we will identify the neuroscience theme, (e.g. trust, relationships, teams, conversational intelligence, habits etc. ), your name in the "Thank You" section of the book and "early access" invitations to join my online community and access to special content including early release chapters, and special neuroscience insights for the group. A $1750 value. Please note, the fee does not include travel or accommodations. Delivery will be agreed on after purchase. It is possible to also deliver this virtually at no extra costs. 25 copies of the book "BraInsights" + Your name mentioned as a corporate sponsor in the book + 25 eBook copies + 1 day of free consultation on how to build high-performance teams through psychological-safety, emotional intelligence, and trust. Jump start your corporate performance and help your people understand how to use neuroscience to drive better performance. This is normally a $3500 program, but yours for just $1100 plus you get hard copies and electronic copies of my book. Please note, the fee does not include travel or accommodations. Delivery will be agreed on after purchase. It is possible to also deliver this virually at no extra costs. 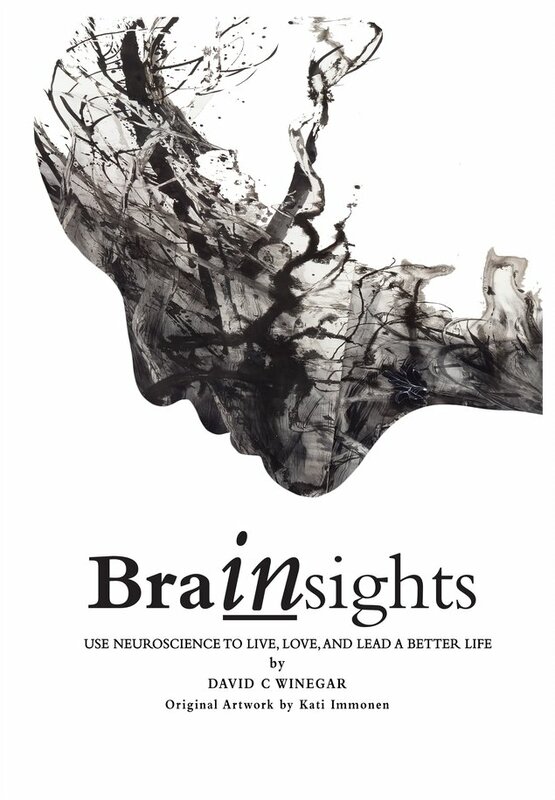 50 copies of the book "BraInsights" to give away at your next corporate event + an inspirational keynote speech by on insights into how to use neuroscience to re-wire your brain for success. 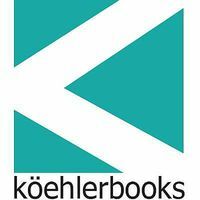 Lifetime access to my neuroscience community site +50 eBook copies of my book "The Elevator Pitch of You: Using neuroscience to craft a unique and powerful personal brand statement." Includes online tool to build a personal brand statement step-by-step. Perfect for helping teams work better together through building better understanding and trust. A $4000 value. Using neuroscience to live, love, and lead a better life. Apply the latest neuroscience research to unlock the secrets of your brain and learn to tap into its power to enrich your relationships, improve your wellbeing, and grow your productivity. UPDATE: I have had some questions about what happens to the money if I don't get enough people. I now have enough orders that the book will be published and fulfilled. Everyone who has ordered or will order will receive their book. I am still considering publishing partners and will wait until the end of the campaign to make a decision on partners. How to use this book - The brain is infused with emotion. 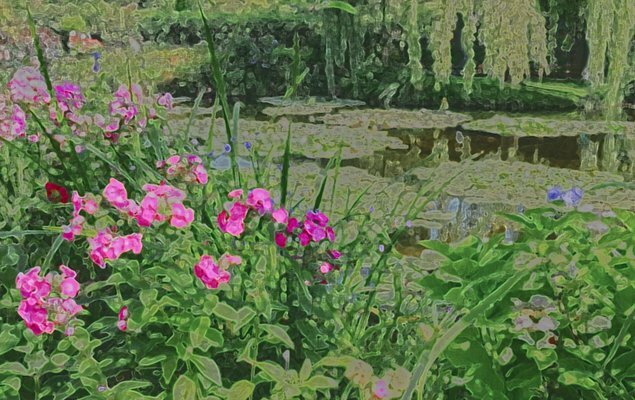 To make emotion more than words on paper I have worked with professional watercolorist to create images that stimulate the mind and activate emotions. The evolution of our brains. Why our thinking is wired to life 10 000 years ago. -Can we trust our memory? The brain seeks to minimize the cost of acting - Our brains are constantly working to conserve energy and get from point A to point B with minimal effort. The reward system - The reward system of the brain is perhaps the most important and insightful area of the brain to study. If you have a good understanding of the reward system you will find answers not only to why you behave as you do, but also what is driving the behavior of others. The Chemistry of Relationships - Relationships are at the foundation of who we are as human beings and they are driven by the chemistry in our brains. Understand the chemical drivers, what enhances our connection to others and what drives us apart. Learn the behaviors that promote better connection, builds trust, and leads to a more joyful life. -What can we do to reduce stress? Brain Plasticity - Neurogenesis and the brain's ability to create new connections and re-wire itself is one of the breakthrough findings to come out of neuroscience. Our ability to continue to develop our brains past adolescence into adulthood gives proof to the idea that anything is possible. This audience for this book is divided into three distinct target groups, each with a specific need that is met. Business and life coaches. There are 53 300 coaches worldwide, 17 500 in the US and growing strong. The estimated market value rose from $707 million in 2011 to $1.02 billion in 2016 and expected to reach $1.34 billion by 2022. Brainsights is at its core a handbook to human behavior and supports coaches in synthesizing a lot of the current research into a highly usable form that can be put to use to coach better their clients. The author is himself a coach and the book provides a lot of practical exercises, backed by science, that he has used with his clients to enact change. Mentors and Leaders. The pressure for performance is a constant. Performance is tied closely with relationships and relationships are driven by behavior. Much of the research Brainsights is based on is understanding peoples' behavior and how to direct your own behavior to be more successful with others. This insight into how to explain behavior is critical success factor in successfully developing people. Self-coached Millennials. In 2015 94% of millennials reported making personal improvement commitments (compared with 84% of Boomers and 81% of Gen Xers). Boomers said they’d spend an average of $152 a month on self-improvement, Millennials anticipated spending nearly twice that—though their average income is half as much. In a Future Workplace study, 83% of surveyed respondents said they have Millennial managers in their office, but nearly half of the older generations believed Millennials were ill-equipped to manage a team. While 44% of Millennials view themselves as being the most capable generation to the lead the workplace, only 14% of all surveyed agreed. Brainsights is a book that is perfect for those who want a better understanding of themselves and those they work and live with. Millennials are just now at the point in their careers where they are ready to take the next step and show they have the abilities to take on new responsibilities and lead others. Understanding what drives behavior and how to promote proactive behavior in yourself and others, is the most critical skill for success in the workplace. This book provides real insight for readers into the minds of the people they work with and insight into how to interact with others with a high degree of emotional intelligence. 3 Posts a week in my LinkedIn profile (previous posts average between 600 and 1500 views per post. Direct email campaign to my personal Hubspot contact list of 920+ business contacts. Direct email to my personal email list of 350 contacts. Direct email to my multinational corporate base of more than 150 companies. The latest revelations from neuroscience can transform the work you do, as a coach, hypnotist, or therapist, in ways that make measurable changes in the brain. This book will teach you how to integrate and utilize the research to explain and empower changes in habituated patterns of thought, feeling and behavior. Brainsights differs in that this is a book written for therapists. It covers some of the same subjects, but my book is more practical for people in everyday situations and is much more accessible for that reason. I am taking the science and showing how to apply it to everyday work and life situations, rather than just how to solve specific problems that a therapists deals with. Many coaching tools and techniques are now fairly well established, but how do they actually work? Neuroscience for Coaches equips coaches with information that will help them answer this question and therefore deliver greater value to clients. Based on over twelve years of research, this book provides a clear explanation of the aspects of neuroscience that are relevant to coaching so you can describe to clients from a neuroscientific perspective why particular techniques and methods work and the benefits to them. This books content is touching on some of the same concepts but is arranged around the functions of the brain, which I believe makes it much more difficult for the non-science person to follow and apply. And the voice of the book is solely coach to coach, which for a person that is a not a coach becomes difficult to follow. If you change your brain, you can change your life. Great teachers like the Buddha, Jesus, Moses, Mohammed, and Gandhi were all born with brains built essentially like anyone else’s—and then they changed their brains in ways that changed the world. Science is now revealing how the flow of thoughts actually sculpts the brain, and more and more, we are learning that it's possible to strengthen positive brain states. This book sets out to inform the reader of techniques at the intersection of science and religion that the reader can employ to attain happiness. Brainsights also works to help people understand how to reach happiness though understanding, but from a solid science perspective. I spend less time in the philosophical and more in the research and the insights it provides. The goal of my book is to be grounded in science and help people to interpret that without the filters of philosophical thought. Mindset's outline is similar in that it seeks to be more accessible to a larger audience. But it is also its downfall in that it is too ambitious. It looks at too many life applications, everything fro work, sports, and the arts. In Brainsights I spend less time talking about specific "jobs" and more time in explaining how the brain is working and what you can do to apply that to a wide spectrum of your life. Also, the book was published in 2006 and in the 12 years since that time, there has been a flood of new research. My book is using research mostly published in the last 2 years as the foundation. promotion, lose those five pounds, happiness will follow. But recent discoveries in the field of positive psychology have shown that this formula is actually backward: Happiness fuels success, not the other way around. When we are positive, our brains become more engaged, creative, motivated, energetic, resilient, and productive at work. This isn’t just an empty mantra. This discovery has been repeatedly borne out by rigorous research in psychology and neuroscience, management studies, and the bottom lines of organizations around the globe. This book differs from Brainsights in that it looks only at the subject of happiness. Brainsights also looks at this subject, but in the wider context of understanding and building successful habits that are brain friendly. Brainsights also look not only at how to understand yourself, but as important, how to understand others. Overall success is also correlated with the understanding of others and being able to also contribute to their happiness. Dr. Anil Seth from the University of Sussex in the UK is a neuroscientist researching perception and the brain. His research has illuminated how the brain makes assumptions based on our interpretations and experiences. Seth’s study focused on how the brain sees color and what he found was that we interpret color individually. Have you ever argued with someone about what color something was? I have had this argument with my wife on many occasions. Each of us insisting that a something was a particular color, blue instead of purple, orange instead of pink, and unable to understand why the other just couldn’t see that it was that color. According to Seth, this is not because we are color blind (as my wife tried to insist I was), but because our brains are interpreting color individually. You would think it is a simple question and one that would be far from controversial, but it was a clear demonstration of how our brains individually interpret stimulus. I was a bit skeptical when I first heard about “the dress” and even found myself wondering, can this be true, is there a visible difference in what people see? There is no doubt in my mind that I see the dress as gold and white. 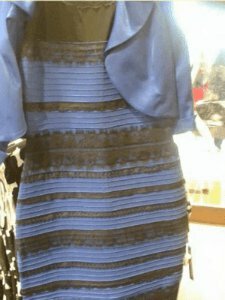 But when I asked my son to tell me what color the dress was, with no other explanation, he immediately replied, it is blue and black. Not only did we both see the dress differently, but the colors were also as different as black and white. I was astounded. The explanation lies in the research that Dr. Seth carried out on color. He explains the dress is a perfect example of how we each have been programmed to see the world in distinct ways. For our brains, the stimulus we get is only ambiguous electrical signals that require processing to make sense. We do this through something called probabilistic inference where we try to match a new stimulus with prior expectations of what we think it could be. Our brain combines those prior expectations with signals coming from the outside world to create a “best guess” of what is going on. The brain is always at work desperate to make sense of the noisy and ambiguous flood of sensory information coming in. The reality is the dress is not white and gold but blue and black. Those of us that see it as white and gold are assuming that we see it in natural sunlight, while the black and blue people think the artificial indoor light is illuminating it. (Seth, 2018) The theory is those who see white and gold have a “sunnier” outlook on life, more positive. The importance of Seth’s research is to remember each of us has an individual interpretation of the world. We should not assume others see the world the same way as we do. We all interpret what we see based on our stored memories which are a collection of experiences that shape how we view the world. We also know from neuroscience that there is six times more information flowing back from our thalamus (responsible for sensory interpretation) as we work to make sense of visual information that is coming in. Astoundingly this is proof that our brain is hard at work to make sense of the visual stimuli we are receiving. It is not “recording” what we see and play it back in our heads. Instead, it is taking in the information and using rapid processing it to see if it corresponds with something we already know. To do this is it has to recreate the neural connections that created the pre-existing memory, if it finds a relationship that makes sense, it associates the new stimulus and updates the context. Another way to understand in practice how our brain interprets and connects to existing stored memory is by looking at our eyes. Our eyes are in continuous motion, moving on average 100 000 times a day, more than 3 times a second. If we wire a video camera to record video according to our eye movement, the result would be a jumpy, blurry, impossible to watch, mess. Why then is our sight not a jumpy, blurry, impossible mess? It is because we use the information already in our brains to create the scene and only update it with new information. 1. How many pictures are on the wall? Now look back at the picture. Were you right? Probably not. I am sure you got it very wrong. Why, because your brain was not primed to look for that information. You were primed to look at the people in the picture. 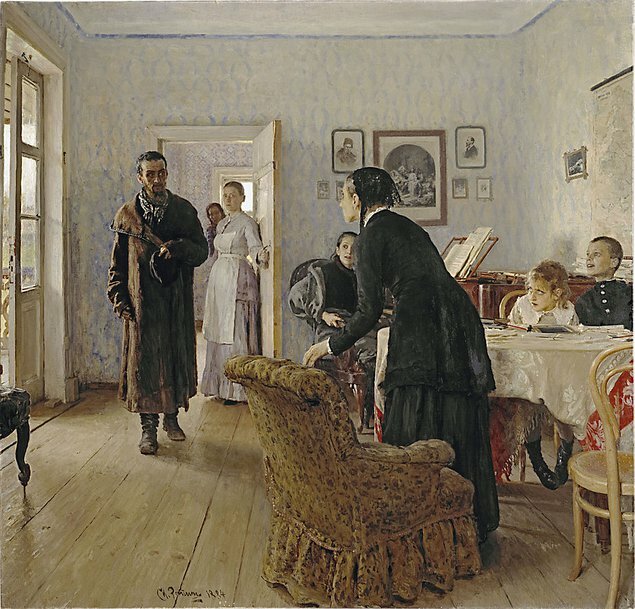 The title, The Unexpected Visitor, primed your brain and focused your eye movements on the people in the room and what they are doing. Think of the implications of how we work with other people. Upbringing, culture, education, the whole gamut of our experiences filter our world to create a unique view of the world. It is not surprising that multinational organizations have a hard time getting people to see the business in the same way. I have struggled with this for the last 20 years as an expat living in Finland and The Czech Republic. I often find myself asking “why on earth is this done that way here, that makes no sense?” But what doesn’t make sense for me makes a perfect sense for those whose experience and upbringing is different than mine. An excellent example of this came when I was giving a lecture on leadership to a group of young business students. Part of my presentation was showing pictures painted by leaders from one of my past training programs for a multinational. One of the paintings, depicted by an Italian manager, showed himself standing behind his team as they climbed a mountain. His idea was a leader always stands behind and supports his team. However, a young Finnish male business student interpreted it differently. He stopped me in the middle of my presentation and asked how that picture was representative of good leadership? He explained that a leader leads from the front. He gave the example of Russian commanders in World War II who stood behind the conscripts shooting any that retreated. He had just completed his mandatory military service, and it was easy to see what was driving his interpretation. It was well reported that the Russians forced their conscripts to fight and had orders from Lenin to shoot any who tried to retreat. For this young Finnish man, the image of standing behind your team only brought up that story of Russian commanders in World War II. It was not that one had a better view of leadership than the other, each had a valid interpretation and way of looking at the situations. It was the expression of the concept that was fundamentally different, shaped by their experience. What if that Italian had been the boss of the Finnish man and tasked with explaining his “leadership philosophy” to him? How do you think the Finn would view his boss? Do you start to understand the difficulties and why we struggle to work across cultures? Let me provide a business example that highlights the costs beyond failed relations. 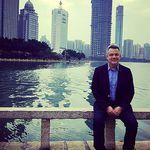 A multinational client I worked for in 2008 had undertaken to open a new factory in mainland China for manufacturing their industrial products. They proceeded to clone the manufacturing plant they had in Northern Europe, which was known for producing high-quality products. They built the factory and started manufacturing. From the first month of production quality problems appeared at an alarming rate. Surprised and perplexed they could not understand how this plant could have so drastically inferior quality to the plant in Europe. The processes and workflow were identical. The problem was not in the factory design but in the minds of those that worked there. It was explained quite clearly to me a couple of years later by a Chinese manager from the same company who was a participant in one of my leadership programs. He said, for the Chinese, quality is not about over-engineering a product, that is a waste of time and money. Products should meet the minimum level needed for their function. It was how their brains, filtered through their experience, told them to define and interpret quality. For the company, it meant spending time educating and “rewiring” the brains of the Chinese workers to create a new reality for the workers, one that matched the expectations of their customers. This problem is not limited to this one company. It is an ongoing problem in China. It is, of course, better to understand this brain limitation before the products start rolling off the assembly line than to try to correct it later. The examples above all seem obvious in hindsight but when in the situation it is more difficult to understand the forces at work that are preventing you from success. But if you train your brain and heighten your awareness of your surroundings, force your brain to process at a higher level those surroundings, that awareness will give you a prediction of a likely future and provide a better indication of how you should act. The term situational awareness originally was used by aviators and was identified in combat aviation situations as one of the decisive factors to a positive outcome. (Watts, 1996) The elements of situational awareness consist of perception, comprehension, and projection. Together these three factors provide us with a full view of situations and help to guide us in better decision making. Perception and comprehension are how we become aware of the environment and understand the information coming into our brains. To be fully aware of the situation it is essential to have a high degree of familiarity with the system you are using, put aside assumptions, and keep your mind constantly alert for changes. To get to this level of understanding, you must fight against your brain which is attempting to take shortcuts and apply mental rules that don’t always provide you with an accurate, current picture of what you are currently experiencing. The third part, projection, is the ability to project into the future what will happen based on an evaluation of the information received. Being able to anticipate the future and apply reason to direct actions towards outcomes that support us in orchestrating a higher level of success is what we want to achieve. We cannot expect that our minds can develop the level of sophistication necessary to understand our limitations in assessing situations, nor how to bypass those limitations to make better decisions, without training. Just as a fighter pilot must train to develop their skills to a level where they can direct a strike force, destroy enemy radar, monitor surface-to-air missiles and track enemy aircraft all while flying at 700 feet per second, you must train to develop your own situational awareness to be able to function at a higher level. For over 20 years I have been involved in coaching and training people by using artificial experience building methods with the goal of building the database of experiences that they can reference to have a higher level of situational awareness. What I do with my clients is to put them through highly challenging and realistic artificially created experiences. The background to the method that I developed in my programs came from the US military. When I was just out of college in 1988 I moved to Washington D.C. and worked at the National Archives and Records Administration of the United States in records declassification. I spent my days reading top-secret classified materials and deciding if they could be recommended for declassification. One of the ideas I came across in that work was a method for training battlefield commanders called “artificial experience building.” The way it worked was commanders were put in elaborate simulations on the battlefield and required to make decisions. Those decisions evaluated, and feedback provided. The military psychologists determined that this was highly effective for building combat experience artificially, in a safe environment. Research has found that artificial experience is as valid as real-life experience, therefore when we have new experiences, even if they are artificial, the brain will use that artificially embed experience to evaluate new information. We use roleplay to create characters and situations that are steeped in emotion and unexpected challenges, purposely raising the stress level and often activating to some degree the flight or fight stressors that lead to poor decisions. After the roleplay has been completed, we take time to evaluate how the situation was approached and what could be improved on. We often then allow the person to “replay” the experience incorporating the feedback, which provides for better internalization of the behavior change needed to have greater success in the situation. on Sept. 30, 2018, 10:51 a.m. Exciting news! Looking forward to this one! on Sept. 30, 2018, 5:16 p.m.
on Oct. 1, 2018, 11:39 a.m.
David, This is Leighton. Look forward to reading your book! on Oct. 1, 2018, 1:33 p.m.
on Oct. 1, 2018, 4:41 p.m. I hope you get the book published! on Oct. 2, 2018, 1:54 p.m.
on Oct. 2, 2018, 3:15 p.m.
on Oct. 2, 2018, 11:01 p.m.
Yeah! I can't wait to read it! on Oct. 3, 2018, 7:42 p.m.
on Oct. 9, 2018, 9:46 a.m.
on Oct. 10, 2018, 5:54 p.m.
Greetings from your former student (History @ The English School)! Wishing you success with your new book, looking forward to reading it! on Oct. 11, 2018, 7:19 p.m. I am anxious to get your book and read it. Congratulations David! on Oct. 18, 2018, 6:02 a.m.
Just ordered! Will be interesting to read! on Oct. 19, 2018, 2:58 p.m.
on Oct. 19, 2018, 7:59 p.m.
on Oct. 22, 2018, 8:21 a.m.
on Oct. 24, 2018, 4:36 p.m.
on Oct. 26, 2018, 12:09 a.m.